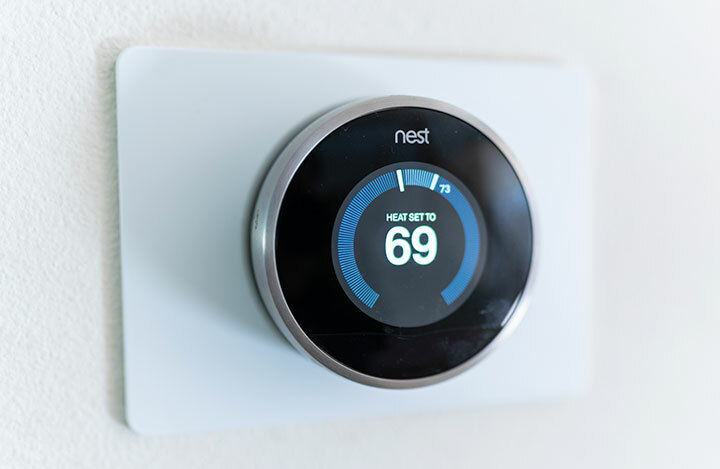 Tom Sutton Heating are now proud installers of Nest products which include heating controls, smoke and carbon dioxide alarms, transforming your home into a smart home. Easily implemented, Nest products sit on your local Wi-Fi network so that you can monitor and control multiple aspects of your home like heating, hot water and safety using a single user interface: The Nest App on your smart phone. If you haven’t heard about Nest take a look at the details below to see how Nest can save you money on your heating bills. The 3rd-gen Nest Thermostat learns what temperatures you like, turns itself down when you’re away and connects to your mobile. So it can keep you comfortable and help save energy. Just turn it up and down. With Auto-Schedule, Nest learns from you and programs itself. Change the temperature from anywhere using your mobile, tablet or laptop. See how much energy you used and why. The more you know, the more you can save. Don’t heat an empty home. Home/Away Assist adjusts the temperature after you leave. To speak with us regarding Nest installations, please call 01590 540118 or leave your details on our contact form and we’ll get back to you as soon as possible.